Five six-month residencies succeeded one another between 2008 and 2011 in a house in 1030 Brussels, part of a project commissioned by the non-profit arts lab nadine and entitled TBC: To Be Confirmed. 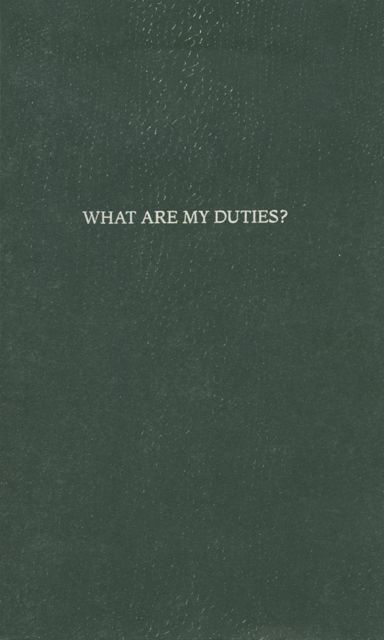 Conceived and compiled by Rebecca Lenaerts, the small booklet What are my duties? A story to be confirmed collects interviews with the five artists and collectives that participated in the project. The booklet is published in Dutch, English and French. I took care of the English and French translations from the Dutch. Tagged with nadine, What are my duties?